22 May Meet Erika Bloom! I really wanted to include Erika in this blog because after my brief experience in her presence I knew that she was a special teacher. Not just an educated, experienced and passionate teacher, but one of those special guides that “becomes one with the student,” during a session. She is very present. When I moved to NY I had a chance to have her observe me teach. It was an experience that left me very impressed. It was almost as though she knew not only what I was doing, but what I was thinking. This is one of the greatest gifts an intuitive teacher can possess. Erika embodies it. Read her bio to learn more! Erika Bloom, veteran Pilates instructor and former professional dancer, has been studying Pilates for over 20 years and teaching in New York City for over 10. In 2002 Ms. Bloom founded Erika Bloom Pilates, and, along with her staff of handpicked and personally trained experts, has since kept her devoted clientele in tip-top shape. Attuned to the notion that fitness is more than looking good in a bikini, Erika’s vision encompasses movement, healthy habits, and natural, responsible living. This holistic approach to wellness and fitness inspires every aspect of her life: from her signature line of organic Pilates wear, to the operation of her eco- friendly business, and the daily choices made in the raising of her two children. Erika’s devotion to holistic living led her to the study of many complementary body methods including Klein, Alexander, Feldenkrais, yoga, physioball, and foam roller. Erika’s certifications include Pilates Mat, 500+ hour Pilates Apparatus, Protocols of Osteoporosis, Muscle Imbalance Assessment and Correction, Nutrition, and Gait Analysis. She is certified in Postnatal and baby yoga through Jyothi Larson and is a certified Yoga Therapist through Arturo Peal and Cheri Clampett. She also has extensive training and clinical experience in scoliosis correction, injury rehabilitation and prevention, fascia massage and Rolfing, spinal manipulation, and sports conditioning. Formulated through a science based education and extensive experience, Ms. Bloom founded the Erika Bloom Pilates Method, a highly personalized and effective approach to fitness. Erika Bloom and Erika Bloom Method Pilates are frequent features in top publications such as, Shape, Women’s Health, Self, Lucky, and Gotham. Erika’s exercise DVD, Next-Level Pilates has also received critical acclaim from Pilates Style, Fitness, and More Magazine. Dubbed a ‘Pilates genius’ by Vogue, Ms. Bloom is known for her sincere devotion to the individual needs of each and every client she sees. Erika has worked with athletes, dancers, and celebrities, as well as those young and old, injured and healthy. She is thrilled to be a part of the body-changing fitness and lifestyle choices of her clients at Erika Bloom Pilates. Erika Bloom Pilates Plus distinguishes itself with its unique customization method. The relationship between you and your practitioner begins with a personal evaluation to assess posture, muscular imbalances, and movement patterns. Each session is then personally tailored to meet your individual needs resulting in a more effective, efficient session and a longer, leaner you. Erika Bloom Method Pilates takes a detailed and individualized approach to fitness to ensure access to every muscle in the body, rather than employing existing movement patters that utilize already dominant muscle groups. To personalize the experience further, Erika Bloom Method Pilates pairs your Pilates sessions with a variety of services designed to heighten your mind/body experience, and achieve your goals quickly. These services range from Holistic Health Coaching, Cardio Coaching, and Yoga to Thai Yoga Massage and Custom Massage, as well as Acupuncture and Rolfing. Well sought after in the industry and featured everywhere from Gotham to Lucky, our practitioners are versed in anatomy, injury rehabilitation, pre and post-natal, osteoporosis, nutrition and much more. Let yourself be guided by passionate and knowledgeable instructors handpicked by Bloom through a mind-and-body connecting workout. Our new expanded Upper East Side space is designed to provide a haven in which to foster your mind-body practice. 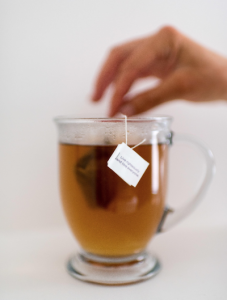 Come in and enjoy a cup of our signature tea, take a Pilates session, leave your clothes to be laundered and waiting for you when you return, shop our eco boutique, schedule a massage, and much, much more. In addition, Erika is opening a new studio in Greenwich, CT as well as a new studio in Southhampton, NY!